I’m finally experiencing the much-extolled Nebraskan crane migration. 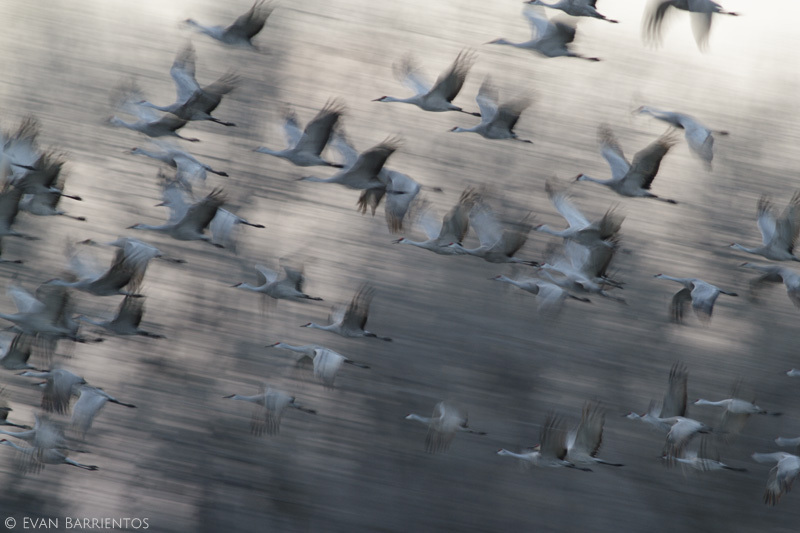 Each morning, as if fleeing from the rising sun, thousands of Sandhill Cranes noisily fly west over my house as they leave their nighttime roosts on the Platte River. Throughout the day their trumpeting calls are a constant presence, and a welcome one after a winter where wind was the main sound. 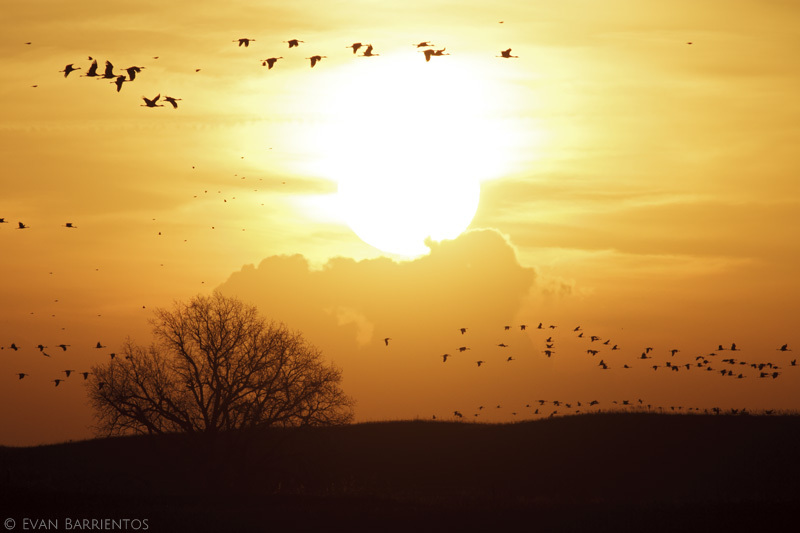 At sunset the cranes infallibly return from the cornfields, heading east towards the Platte. It’s a routine I’m really enjoying and trying to photograph as often and in as many ways as possible. Crane migration is so popular that many photos have become cliché, so I’m trying to put my own spin on it. 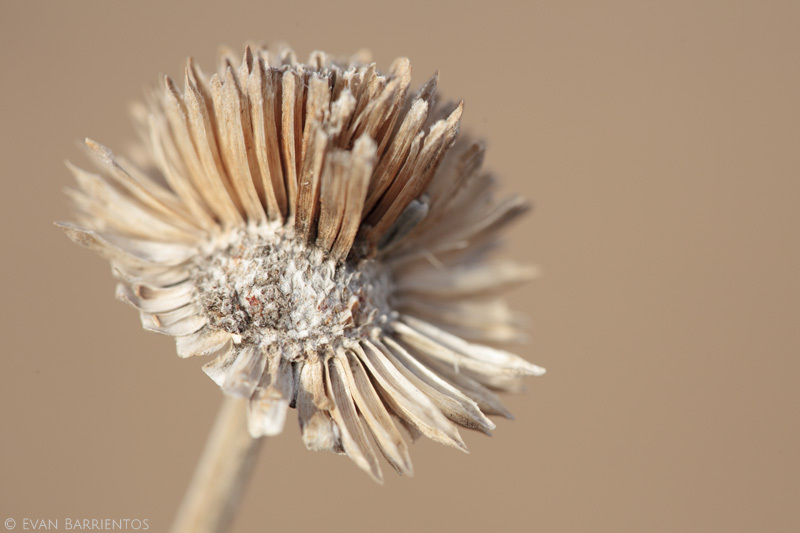 When I pull my eyes away from the sky and look at the ground, I notice how worn the old seedheads are, so ready to fade away. 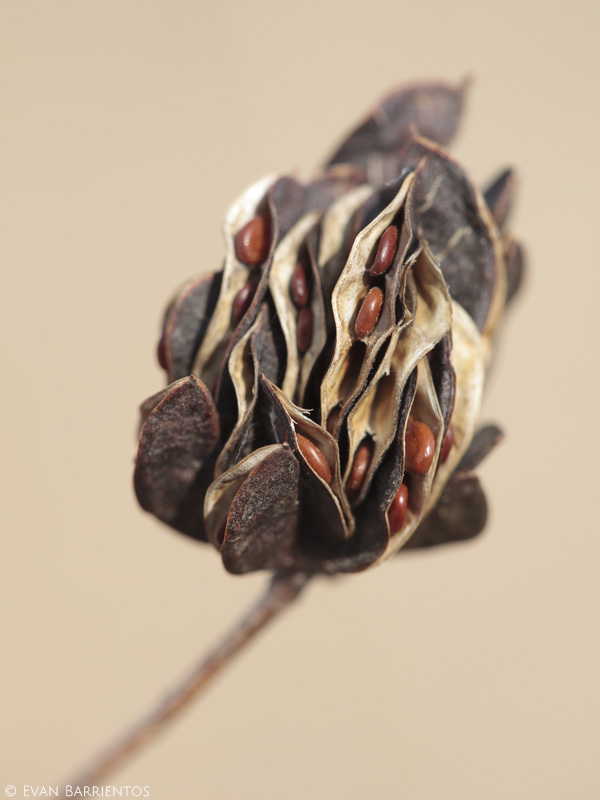 Most seeds have finally dropped but a few remain, as if waiting to be absolutely sure that the winter is over before leaving their cozy shelters. Yesterday, with thin clouds creating excellent light for photography, I spent about an hour using my macro lens to highlight the surprising patterns and colors in these intricate little formations. It won’t be long before I can start photographing living plants again! This entry was posted in Hubbard Fellowship, Prairie Animals, Prairie Plants and tagged desmathus illinoensis, helianthus pauciflorus, illinois bundleflower, migration, sandhill cranes, stiff sunflower by Evan Barrientos. Bookmark the permalink. Excellent photography Evan! Thanks so much for sharing these. Always interesting to get out and look around as winter ends and spring begins.